Clarissa Tossin | How Does It Travel? 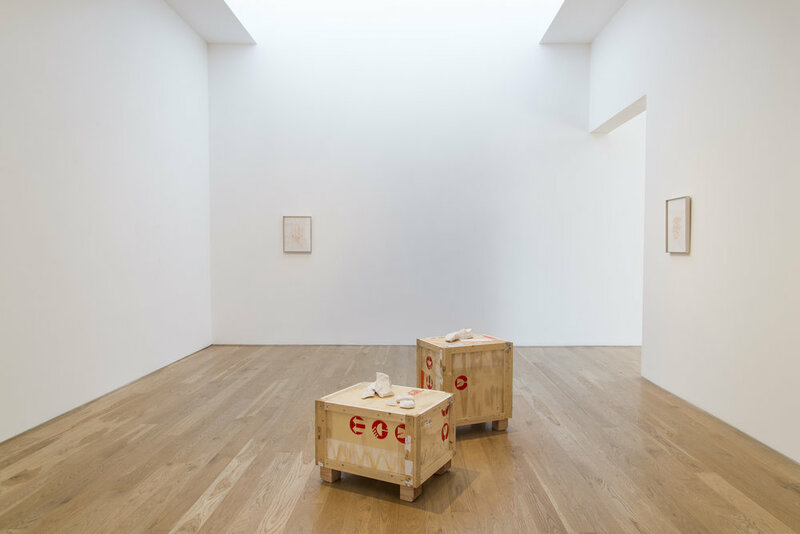 Clarissa Tossin’s solo exhibition at Samuel Freeman, How does it travel? brings together photographs, sculptures, prints, and site-specific works that analyze movements and their resulting displacements and transformations. She tracks materials, ideologies, and bodies that travel by foot, by car, by plane, and by her own hand. Using two primary nodes, Brazil and the United States, Tossin finds generative ground in transpositions that yield compelling mis-registrations. In When two places look alike, a series of 14 photographs, the artist’s hand overlays partial façades from two far-flung Ford Motor Company Towns, one in Alberta, in Michigan’s Upper Peninsula, the other in the Amazon’s Belterra. Established in the 1930s to serve the production of the Model T, these sites operated as a sawmill and a rubber plantation respectively. Revealed by Tossin, sameness over distance highlights difference, where misaligned architectural forms and their environments playfully elucidate the consequences of both ideological and physical imposition. Tossin injects another displacement: two replicas of handmade benches from Belterra are set in the gallery, while the green painted trim of the Cape Cod style homes pictured in these works is reproduced along the base of the gallery walls. Made of Brazil’s native latex rubber, Transplanted (VW Brasilia) is a skin-like cast of a Volkswagen Brasilia. This is the first version that the artist was able to import to Los Angeles, as a collapsed copy folded inside her carry-on bag. Parked outside the gallery is the original car from which the latex cast was pulled, brought to the US for Tossin’s Brasilia, Cars, Pools and Other Modernitiesrecently on view at the Hammer Museum. Transplanted (VW Brasilia) starkly conflates the history of rubber production in Brazil with the auto industry. Its delicacy, along with the transfer of accumulated dirt, shows the specificity of use and also a ghostly absence. On loan from Pasadena’s Huntington Botanical Gardens Herbarium, a live Hevea Brasiliensis (a rubber tree) will be on view during the first two weeks of the exhibition. Due to the climate control required for this specimen, this is the maximum time allowed. Extending the presence of the living tree, a handful of Hevea Brasiliensis seeds carried by the artist from Ford’s rubber towns in the Amazon are scattered throughout the gallery. Stepping further along the trajectory of transformation, a stack of used tires becomes an improvised planter for the borrowed rubber tree, completing one possible narrative cycle of rubber. In Point Zero, one wall is coated in soil relocated from Brasília. On the surrounding walls, Brasília by Foot maps a series of paths generated by pedestrian movements overlaid on the modernist outline of Brasília’s Monumental Axis. Warm reddish ink made from Brasília’s iron-rich soil is used to print a chart of Tossin’s steps as she followed after so many others. A satellite image shows the accumulation of tread lines through the grass, and five soil-ink prints chart the number of steps required to traverse shortcuts between the Axis. Echoing the effect of pedestrian movements on a minor scale, the gallery’s concrete and glass courtyard has been filled with living grass, marked by pathways that define how the space is traversed. Work damaged by customs during search for cocaine upon reentry to the United States from Colombia is precisely what the title states. Part of Tossin’s 2009 work Sneaker Thief, these remains bear the marks left by the structures and regulations of travel, precisely the TSA. The group of damaged sneaker casts rest atop two modified shipping crates rebuilt from wood used in the original shipment. Consistent across Tossin’s works are manifestations of the trace, what remains, the dialectic between absence and presence. She shows circulation at the level of the body, massive industry and stages in between. A concrete display of travel emerges, but the it embodied in How does it travel? is an ever-shifting target. On Saturday, June 13th the gallery hosted a conversation between Clarissa Tossin and Michael Ned Holte in conjunction with the book release for Tossin’s first publication, Unmapping the World, including works from 2009–2015. Clarissa Tossin (Porto Alegre, Brazil, 1973) lives and works in Los Angeles. She received an M.F.A. from the California Institute of the Arts in 2009 and was a Core Fellow at the Museum of Fine Arts Houston from 2010 to 2012. Her multimedia installation Brasília, Cars, Pools and Other Modernitieshas been recently featured in the Hammer Museum’s Biennial Made in L.A. 2014. In early 2015, the video installation Streamlined: Belterra, Amazônia / Alberta, Michigan was the subject of a solo exhibition at the Museum of Latin American Art, Long Beach. 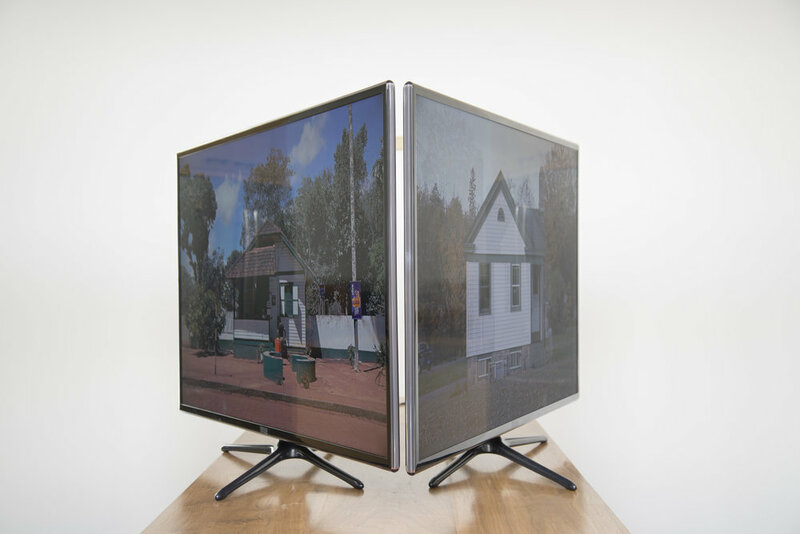 Group exhibitions include Unsettled Landscapes at SITE Santa Fe, New Mexico (2014); Bringing the World into the World at The Queens Museum, New York (2014) and When Attitudes Became Form Become Attitudes at CCA Wattis Institute, San Francisco, and Detroit’s Museum of Contemporary Art (2012–2013). She has received a California Community Foundation Fellowship (2014), an Artists’ Resource Completion Grant (2013), and an Artistic Innovation Grant (2012), both from the Center for Cultural Innovation.